The JENSEN® JMC-180 Wall-Mountable CD System is a music system that has it all. 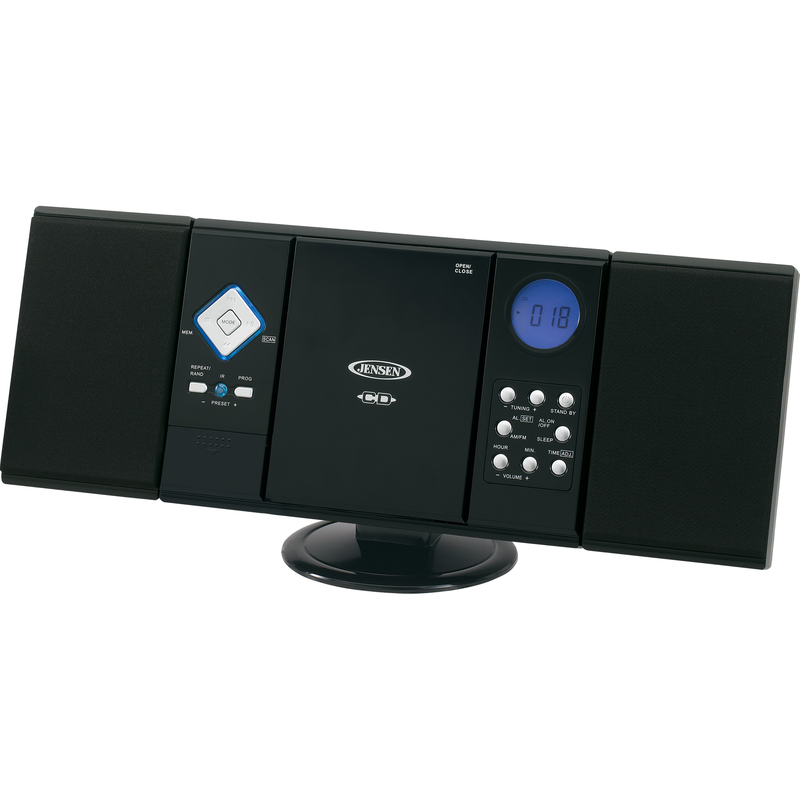 This music system has a CD player and an AM/FM stereo receiver with digital tuning. The CD player is vertical loading which plays both read and read/write CDs. The stereo receiver with CD player has an easy to read digital display. There is an extra input jack for an iPod® or MP3. 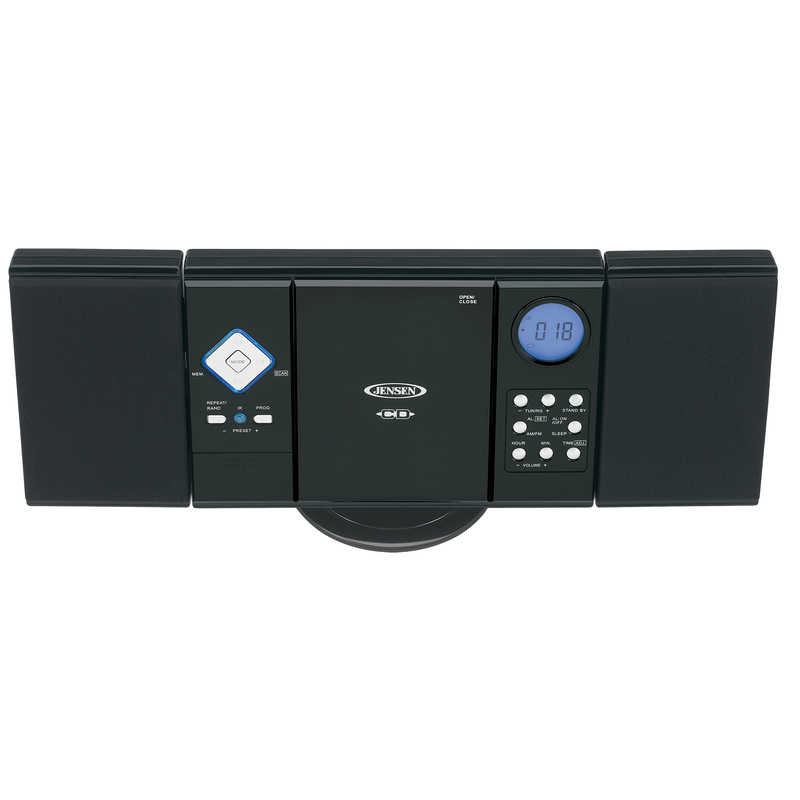 The music system has Skip and Search functions that can Forward and Reverse with ease. It also features single song continuous mode, or can complete an entire play list. Random play is also available. Along with the stereo speakers, it features an alarm clock and remote control. 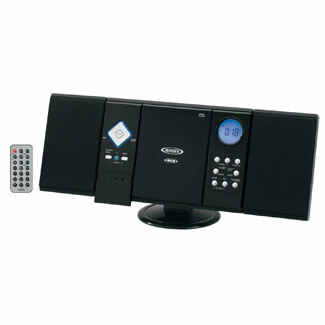 The JENSEN JMC-180 Wall-Mountable CD System is designed to provide a great musical experience.